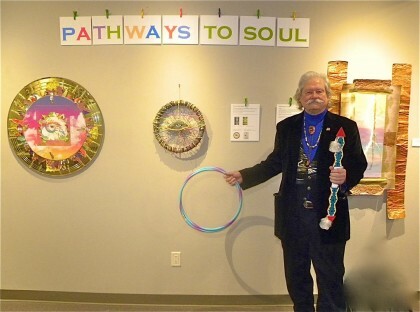 Friend Jim Johnson had an opening of his work in Aberdeen, South Dakota the other night. His new work is lots of colors, strings, leaves, nice bright colors as Simon and Garfunkel sang. Jim, and his long time friend Mark, have both taken their art with them into the third phase. Mark has written one book, an initiation tale, about his time in Vietnam and is at work on another, a hero’s quest tale of his time in Fiji and on the road. He also had a show of new work a couple of years ago, his bridge series. I admire them, keeping Bridgit’s hearthfire lit. Life opens forward if you let it. Bridgit is the triple goddess in the auld Celtic faith, patroness of poetry, of song, of craft, of the creative spirit. 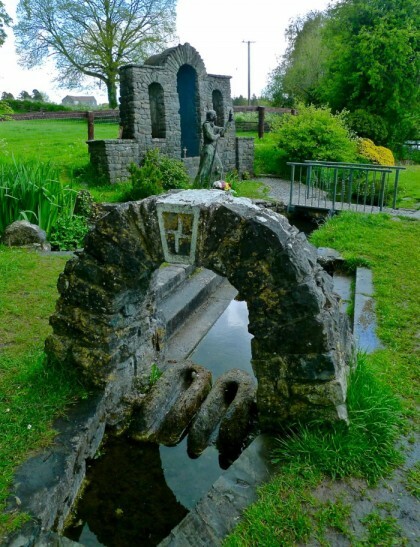 At the double monastery in Kildare, Ireland (men and women), Christians kept her eternal fire burning even after the church absorbed her as a saint. This is Bridgit’s time. She’s the goddess of Imbolc, the cross quarter holiday when the magic of life in the womb brought hope to ancient Celts after the long fallow season. This is my creed outworn (see Wordsworth in the post below). Or, part of it. James Hillman, a very interesting Jungian analyst, said we find the gods in our pathologies. I believe that, too. Jung said we find the gods in our diseases. I believe we find them, too, in passions, in new art, in turning over old life like a furrow in which to plant the divine seeds of a new one. 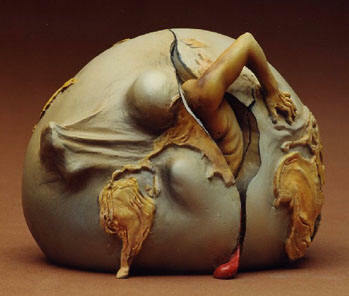 It is axiomatic that each person is unique, a particular example of the human, of life, of the creative process that began at tzimtzum or the big bang, thrown into a particular time and a particular place. It is that particularity that Emerson elevates. It is that particularity which formulates within us, as instantiations of the whole, our own work. When we tap into the sacred, the shard of ohr (divine light) lodged within us, we come to know our work. And, the world needs it because you are the only one with this spark of the divine and the only one in the whole history of the universe who has it. If you don’t express your ancientrail, it will die with you and the world will be poorer. We need you. As you are. Not as a bearer of tradition. Not as a follower of rules and laws, no matter what their claim to authority. Not as a sycophant to the culture in which you were raised. No, none of these. Instead we need the you that dances among the stars, the you that drinks from the deep holy wells within you. We need the you that only you can be. Yes, it’s a scary prospect that you might be worthwhile just for what you are. Not for the degrees you’ve earned or the children you’ve had or the job you do, but for the you that carries a singular vision, a once in eternity vantage point on the universe. Tell us what you see. Tell us what you know. Tell us who you are. We need you, all of us need you.